With Photoxor C1 Toolkit 1.7.0 the Lightsensor functionality allows to communicate with nearby devices to exchange illuminance readings. Up to now, Photoxor supported to measure locally and plot the graph. In a studio environment you might want to vary your lighting setup and see how illumination changes. 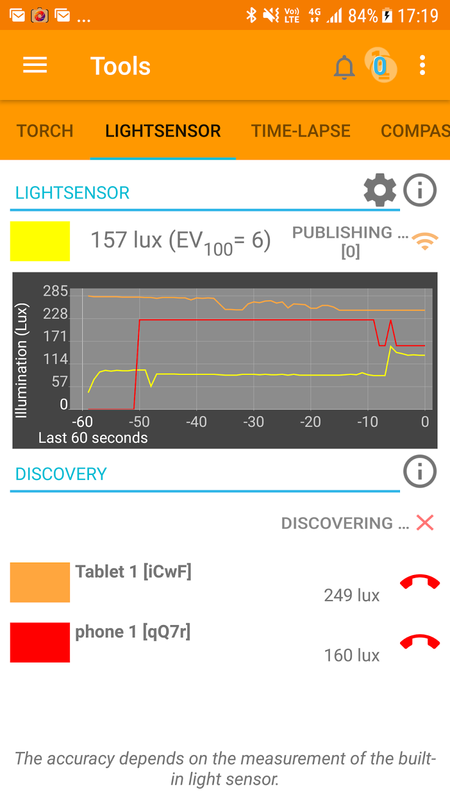 With our new feature you are now able to measure illuminance at various locations, and how it is affected by the setup. Firstly you need multiple Android devices with a builtin lightsensor of reasonably good accuracy, and preferably Bluetooth to communicate. The communication range is limited (therefore 'nearby'), but should be sufficient within a building for example. You might want to perform your own tests. Install Photoxor C1 Toolkit on each device. Use one device to present the collected readings (Discover), and the other ones to perform measurements (Publish). Note: A device can do both at the same time if you need to! In case you have purchased the Lightsensor Pro (or Power Pack) extension switch on background publishing to ensure continuous sending of readings. 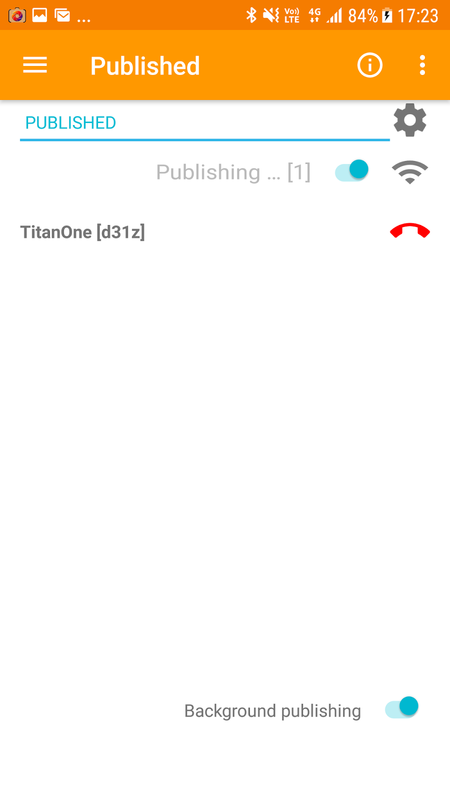 You need to purchases only once, and then install Photoxor multiple times under the same user account (Google Play). In our setup we use one or more devices to perform measurements and send them to the receiving Discover device. Bring up the Lightsensor screen. Click PUBLISH. This starts the process to publish lightsensor readings. Please note that the free version is limited to 15 minutes of continuous publishing, but you are able to manually restart. With Lightsensor Pro there are no time-limits. 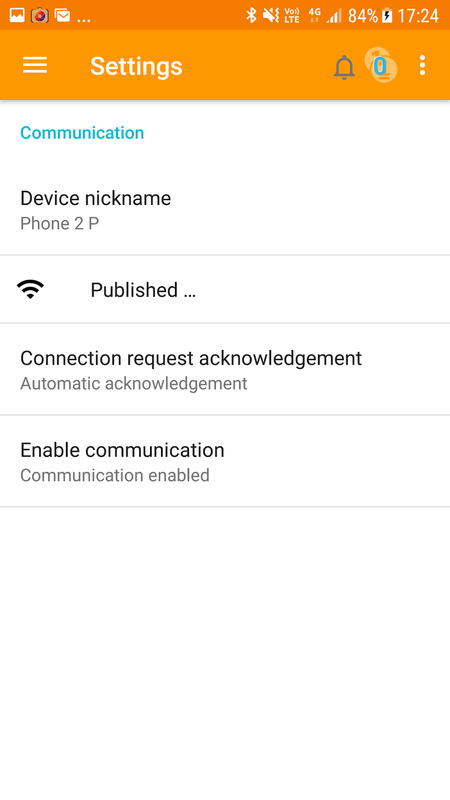 Whenever a discovering device requests a connection to read data, a connection request notification is presented. Here you are able to accept or deny the connection. In case you trust your environment you might want to consider automatic acceptance of connections. 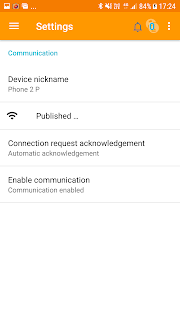 If you press the publish button while publishing is active, a screen is brought up to present the currently connected devices we send data to. 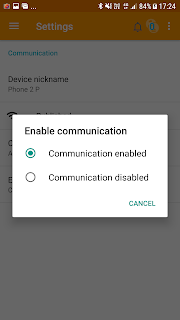 Connections can be terminated by pressing the red handset button, and that device will no longer receive lightsensor readings. Click DISCOVER. 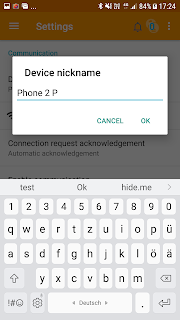 This will start the process to discover other nearby devices. 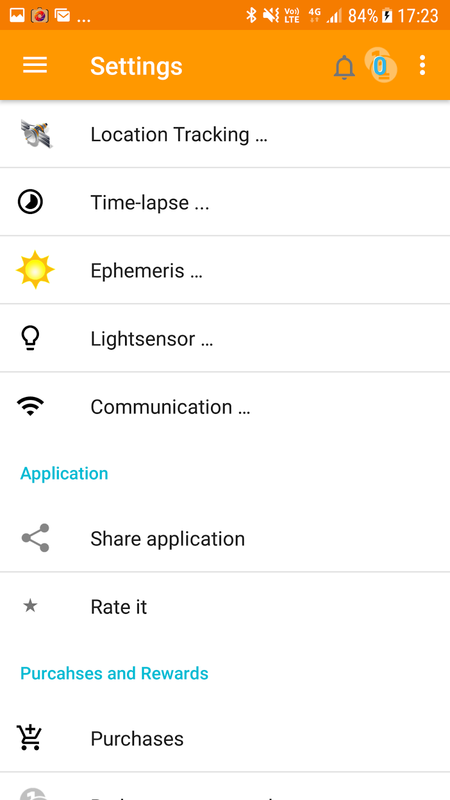 After a short while discovered devices will appear underneath the discovery button. 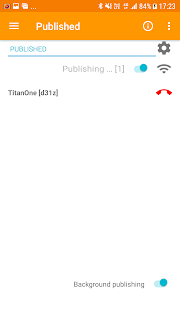 Press the green handset icon to connect. Shortly after a connection notification will appear, where you are able to accept or deny the connection. Again, if you trust your environment you might want to consider automatic acceptance of connections. Once the data connection is established, readings will arrive and presented in the graph. The plot line color is shown with the list of discovered devices. Setup the Lightsensor icon on Home screen. Then it's just one click from your home screen. Best to set screen to 'always on', but consider battery drainage. Sometimes the list of discovered devices does not cleanup very well. In this case you can switch off the discovery mode and then back on again. 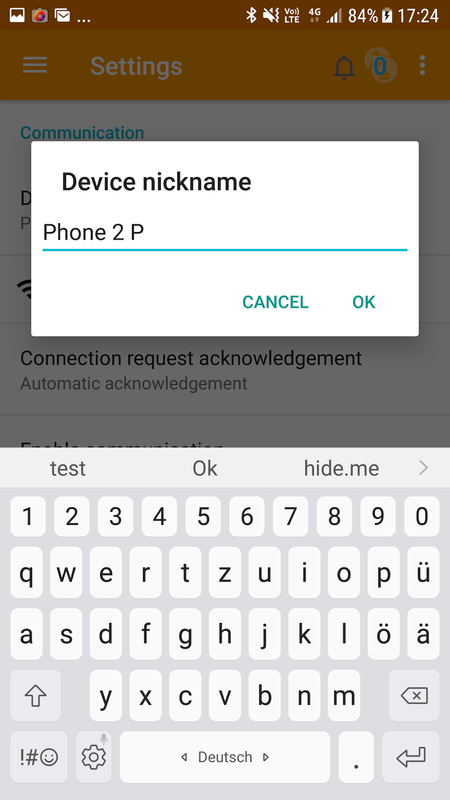 This allows to 'rediscover' currently available devices. 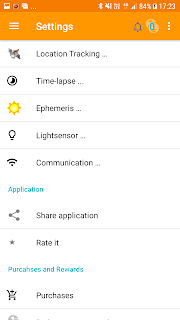 If you purchase any extension features (like Lightsensor Pro), then install Photoxor using the same user account in Google Play, and you get them on all your devices!